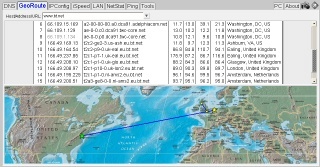 Track users and servers to their location in the world. View hop-by-hop ping performance. 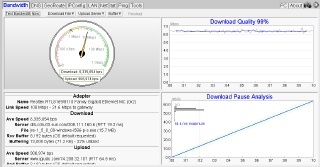 Test your Internet connection's download and upload capacity and quality. 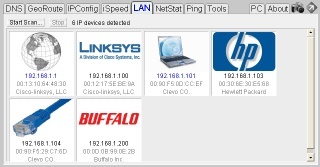 Auto discover all of the IP devices on your local subnet, with MAC address to OUI mapping. Identify the EXE/process that created open UDP and TCP network connections. 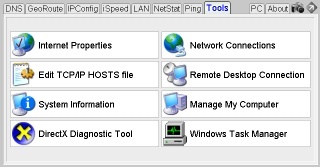 View IP configuration. 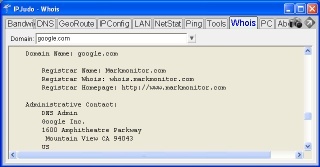 Verify DNS servers. 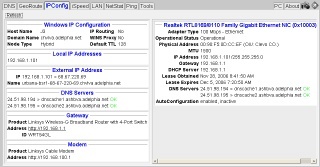 Discover gateway and cable/DSL modem. Lookup A, NS, CNAME, SOA, PTR, MX, TXT, and AAAA DNS records. 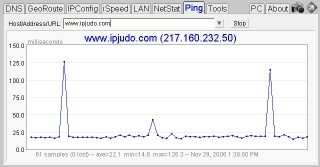 Detect open DNS NS. A collection of shortcuts to useful network related tools. Find administrative and technical contact information for a Domain's owner. 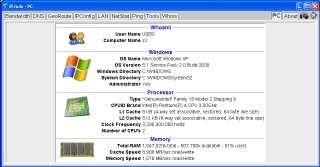 Displays Windows, Processor, and Memory settings for your PC.